Kyler True of Olpe is pictured winning the 1A 800m race at the KSHSAA 2017 State Championship, followed by his own teammate Matt Burkert. Photo by James Shultz. 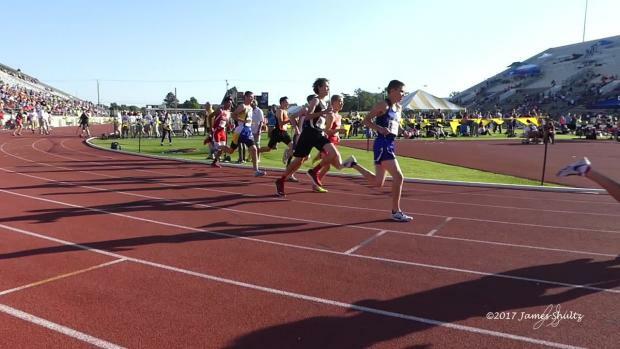 View Shultz's full KSHSAA State album here. Kyler True claimed 11 individual state championships while competing at Olpe High School. 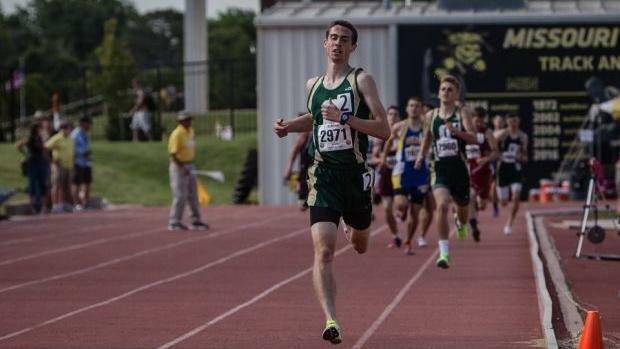 Possibly the greatest high school miler Kansas has ever seen since Jim Ryun, True holds two individual KSHSAA state records on the track, as well as a state record leading the Olpe 4x800m team. True was also the 2016-2017 Gatorade State High School Track and Field Athlete of the Year, and would go on to compete in big national events concluding his senior year - Both the Adidas Dream Mile and the Brooks PR Invitational Mile. After his senior year at Olpe HS, True went on to compete in the collegiate level for NCAA D1 school Oklahoma State, but traveled back to his home state of Kansas to compete at NCAA D1 Kansas University starting this year. 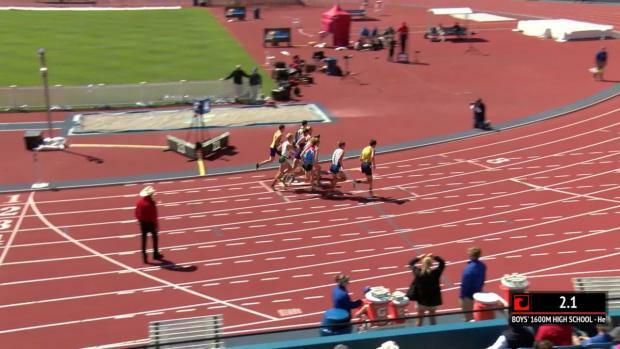 It certainly has been a while since Kansas Milesplit has seen a lot of action from you, after the amazing display you put on in high school. We figured it'd be nice to catch up with where our former high school star is now. What was the hardest transition for you going from high school running to college running, in both track and cross country? What are a few things that are different from the playing field in high school races to college races? The level of competition and how each race is run are a big difference between high school and college. 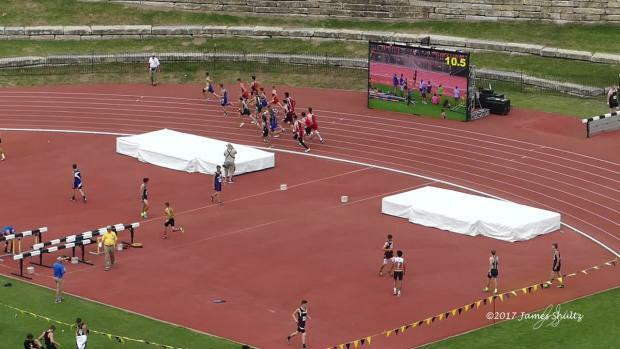 Every time you step on the track you're going to be pushed in college and races seem to always be competitive at the end so you're always pushed to close hard. It's also a cool opportunity to travel around the country to different meets. If you could give any advice to senior runners looking to find their potential spot on a college roster, what would you say? And what advice do you have for picking the right school fit for themselves? My advice would be to contact schools to show your interest and to keep an open mind about which one's you are considering. to pick the right one I think it helps to visit as many places as you can. Talk to the people on the team to see what they do for practices and workouts or how they manage their time between practice and school. Find out what team you fit best with, the best part about my time in collegiate running has been the team and hanging out with them. 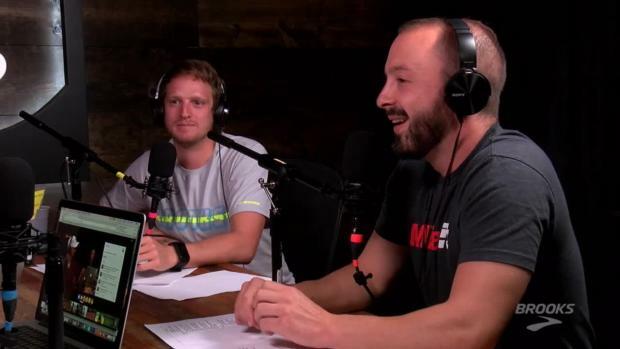 What is the most memorable moment you've had in all of your running career so far? My most memorable moment in my running career has to be the state meets in high school. They were some of the best races I had in high school and the atmosphere at Cessna was ridiculous. There's a lot of great memories in those races with a some good friends as well. Also having the opportunity to run a the US Junior Championships last summer was a great memory. Getting the chance to race for a spot on the World Team was a huge opportunity and a lot of fun. 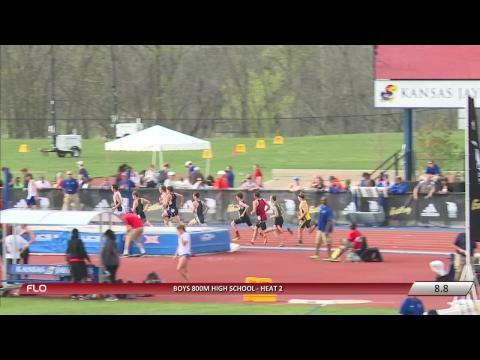 Kyler True set the 1A KSHSAA State 1600m record in the video above. True set the record in a time of 4:07.17, the best time among all classifications in the history of the KSHSAA state meet. To someone not involved in the sport, how would you explain what cross country and track means to you as a person? It's a huge part of my life and always has been. I think running is a way of life and takes a lot of time and dedication to be good at it. It has also brought a lot of great opportunities to create great relationships and to travel around the country. It's a great outlet as well, especially being in college. Workouts and practices are sometimes the best part of the day and something to look forward to. Watch True compete in the 2017 Brooks PR Invitational Mile against the toughest HS mile runners in the country. I would have to say The Lion King. It's a great movie and I've always loved it. Anything Kanye is my go-to for runs. But there's a lot of other good ones on my playlist right now. Thank you for allowing us to catch up with you a little bit! Hope your college running career is going well! 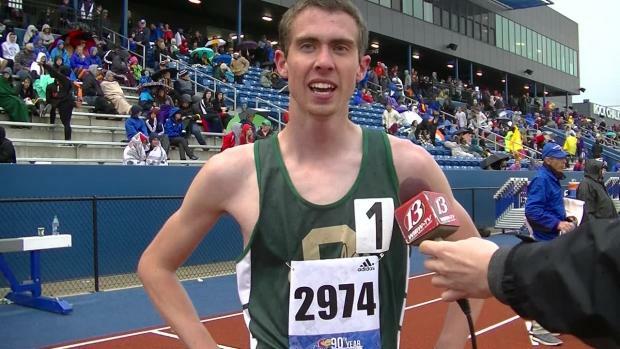 An interview with Kyler True after winning the 2017 800m race at the Kansas Relays, a meet featuring some of the toughest competition from the multi-state area.